IBA and the Manungurra Aboriginal Corporation worked together to provide two Aboriginal communities near Tennant Creek in the Northern Territory with solar power. Supplied and installed by Aboriginal-owned business Allgrid, solar panels and batteries have allowed the communities of Ngurrara and Kurnturlpara to shift to a renewable power source that is about 50 per cent cheaper than diesel generators. That shift has contributed to the communities’ growing to full capacity, from two permanent adults to 30–40 adults and children who are now able to live more independently on their own country. This transition was made possible through IBA’s asset leasing program, which purchased the solar panels and batteries and leased them to Manungurra. Manungurra invested some of its royalties from the Bootu Creek manganese mine in IBA’s Indigenous Real Estate Investment Trust (I-REIT). 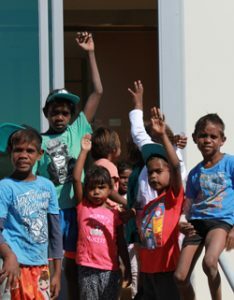 This well-managed investment gives Manungurra the income stability it needs in order to pursue community development projects such as the solar power leasing project.